An awesome moment as peaks near a huge network of ice caves I had been scouting cleared off after rain, revealing the 500ft-high waterfall pouring from the upper flanks. The upward view looking out the cave allowed me to create the sensation of a cascade coming from the top of the mountain. The caves themselves, which I spent part of three days investigating, were extensive and certainly had never been photographed before. 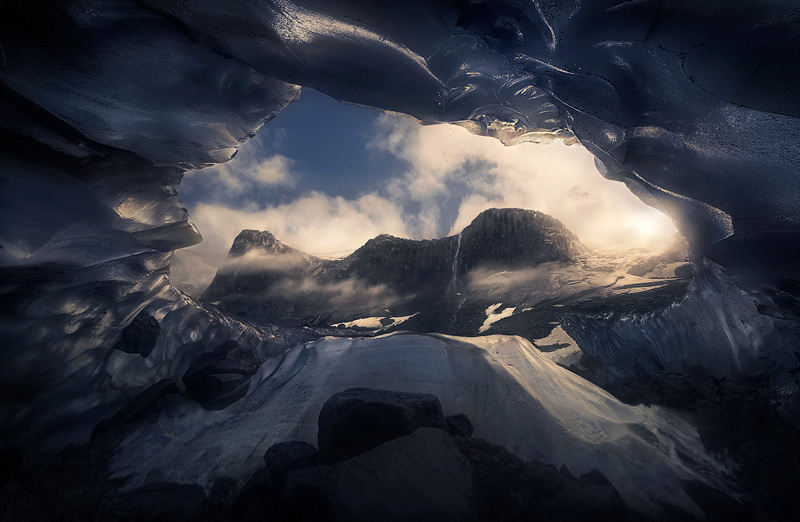 The entire image you see here is a single photograph. . Photo © copyright by Marc Adamus.